Over fifty people attended the Conference, which was very well-received: those attending in general found it useful and encouraging, and hoped it could be repeated in future. The day began with worship, arranged by a group of musicians who used music, songs and prayers to introduce a day of reflection and discussion. 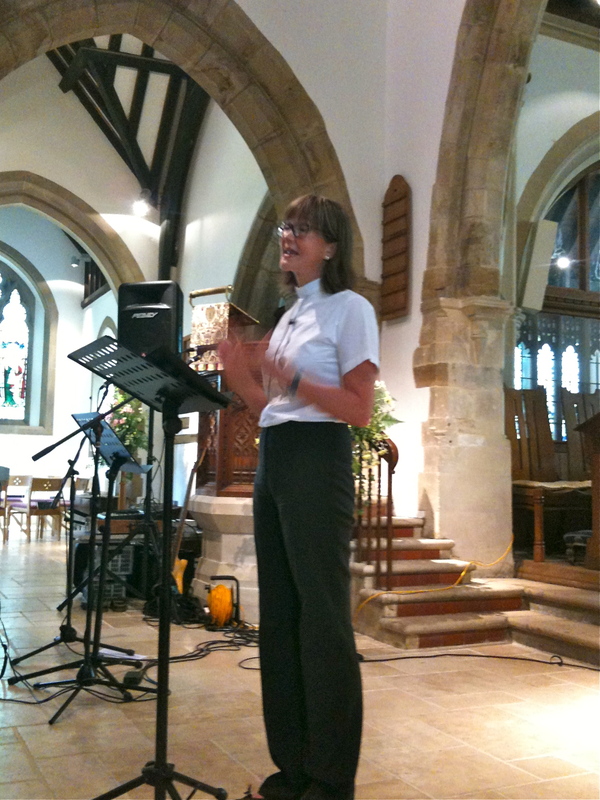 The Keynote Speaker was the Rev’d Alyson Lamb, vicar of St John’s Meads, Eastbourne; in an address which combined interesting narrative, serious reflection, encouragement and humour, she told the story of her own practical and spiritual journey to priesthood and left her audience with much to inspire and to think about. After a short time to share experiences, the conference members made a presentation to Bishop David Wilcox on his retirement, to thank him for many years of support for the women priests in the diocese, many of whom he had ordained; and we welcomed Bishop Laurie Green, his successor as Assistant Bishop looking after women clergy, whose contribution to the later discussion was greatly appreciated. The rest of the day was spent in discussion groups based on people’s interests, on Women Priests in the Diocese, the Vacancy-in-See issues to be considered on Bishops John and Wallace’s retirements, Senior appointments in the Diocese and preparations for the Diocesan Synod Vote on the Women Bishops legislation on October 8th, some group meeting twice and others once, to accommodate numbers (see notes below). The Eucharist was celebrated by Ann McNeil, who is a retired priest in Henfield parish, and o of the first women ordained as priest in the diocese in 1994. People joined in a sandwich lunch and a chance to talk and meet one another. Groups continued in the afternoon, ending with a joint session on ‘The Way Forward?’, and the conference ended with a blessing at 3 o’clock. Our thanks go to Alastair Cutting and Christina Bennett at Henfield Parish Church, to Alyson Lamb for an inspiring talk, to Stephen and Liz France for providing the lunch (for a small donation!) and to our musicians Lisa Barnett, Natalie Loveless and Jo Bourse. Below is a summary of the points made in the group sessions. 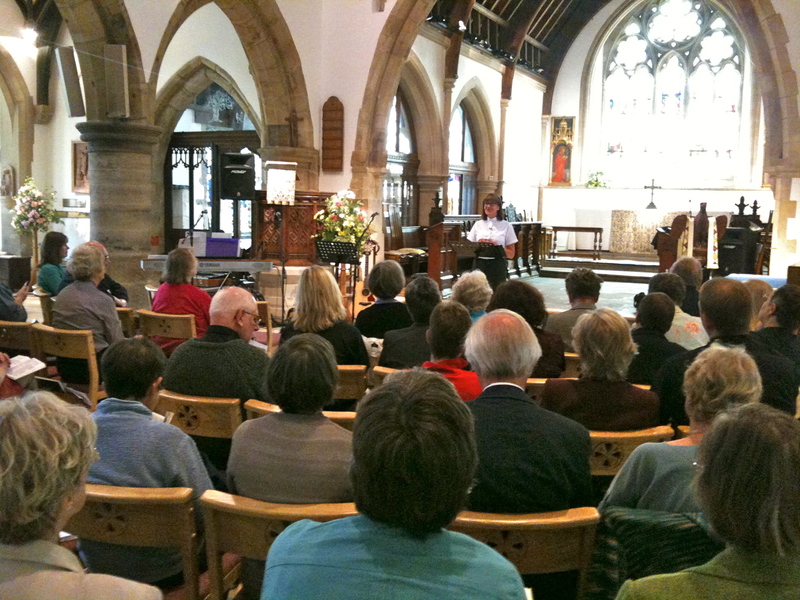 Members felt the situation could be improved by new appointments of Bishops and Archdeacons, greater general awareness of women’s ministry, more support centrally and in smaller groups, and more open advertisement of vacancies. Lay people are more familiar with these issues and their resolution in professional life. It was very important that at least one bishop in the diocese was appointed to ordain women priests, and that probably the next bishop in Lewes should be the one to do so: Bishop John has said that whilst he was in post no suffragan could ordain women priests as his commissary. Bishop John was likely to retire within a couple of years. The Vacancy in See process starts when a it is announced that a bishop is leaving. The Vacancy in See committee of the diocese, including the remaining Senior staff of the diocese, General synod members, chairs of laity & clergy in the diocese, and other elected members, is called together. This Committee arranges public consultations, gathers facts and opinions from across the diocese, and produces a Diocesan Statement and person profile of the sort of bishop the diocese would hope to have, and prepare meetings with a cross-section of people from the diocese, including a public meeting, with the representatives of the Crown Nominations Committee, who spend two days in the diocese. From this larger Vacancy in See committee, 6 members are elected to the national Crown Nominations Committee, which meets in confidence, to make the appointment of the new bishop. There is a perception that women priests are not appointed to larger or important parishes, nor to posts in Church House (though deacons are); as a result, women leave the diocese and several have been offered significant posts elsewhere, including a post as archdeacon. A more open practice for advertising vacancies, and appointing to posts: does the Diocese comply with best practice and transparency in relation to discrimination legislation? Monitoring and publication of detailed records (already required by law) of applications and appointment to all posts: could this be a task for the Women’s Ministry member of the Senior Staff Team? Lobbying of Archdeacons to keep up awareness of these issues. Group 4: Diocesan Synod vote (8th October) on the legislation on Women Bishops. Balance and the acceptance of ‘calling’ (for men and women) must be emphasised. Is it too early for this debate – would it be better to wait before deciding? Anger is unproductive, however understandable, and women’s patience was commended. This event was co-ordinated by the Chichester Chalice Group.